WestJet has dropped the price of their non-stop flights in April from Vancouver to Puerto Vallarta, Mexico down to $359 CAD roundtrip including taxes. Dates over Easter are available. 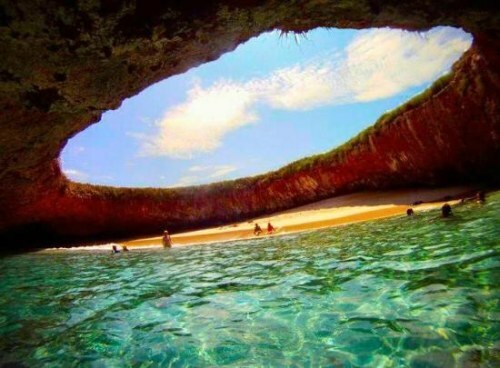 Update 2/7 - Air Canada Rouge has now dropped the price of a couple of their non-stop flights in April from Vancouver to Puerto Vallarta down to $359 CAD roundtrip including taxes. Update 2/13 - Air Canada Rouge has now dropped the price of their non-stop flights in November and early December 2017 from Vancouver to Puerto Vallarta down to $381 CAD roundtrip including taxes. vancouver, yvr, mexico, flight deals, westjet, puerto vallarta, pvr, north america and air canada rouge. 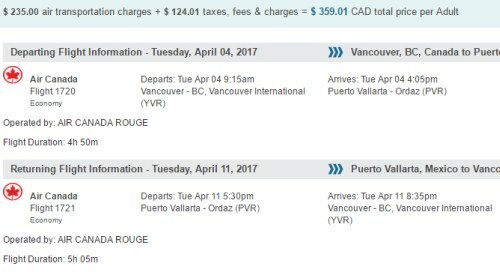 One Response to "Vancouver to Puerto Vallarta, Mexico - $359 CAD roundtrip including taxes | non-stop flights"